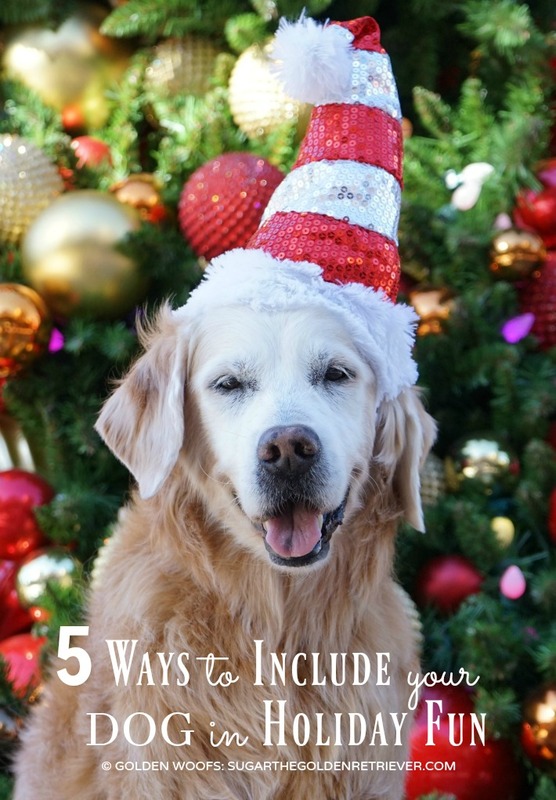 Dogs are family, and it’s important to include them in your holiday fun celebration. 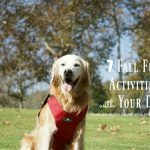 There are many creative opportunities, here are five ways on how you can include your dog in your holiday activities. 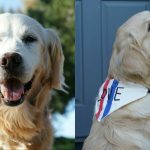 There are plenty of holiday-themed outfits, sweaters, collars, bandana, tags and other accessories available for your dog to wear. 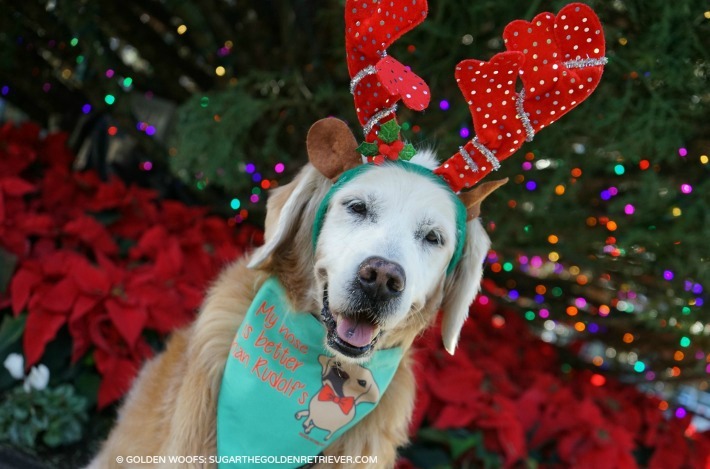 Give your dog a splash of holiday spirit. 2. 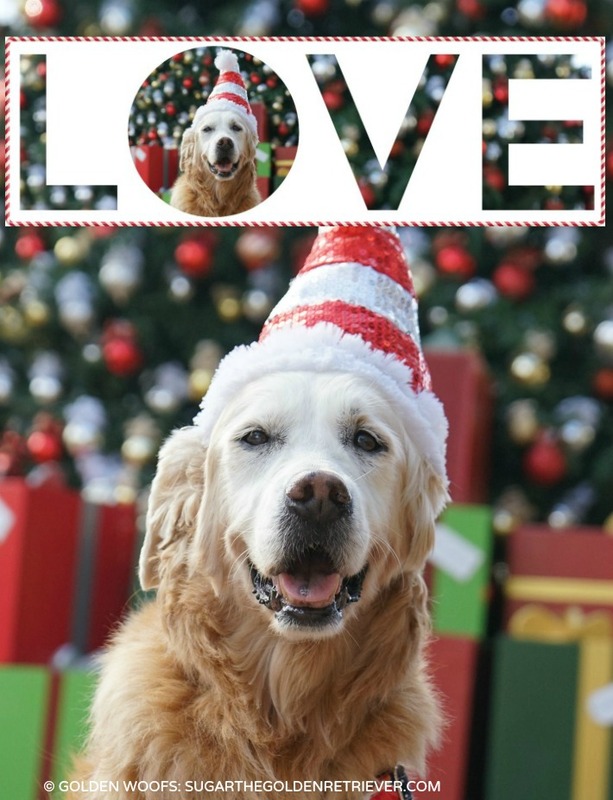 Dog-Themed Holiday Cards – Make your dog the star of your seasonal greetings. SUGAR is always the star of our holiday card. This year, we’ve been an advocate of sharing more LOVE. 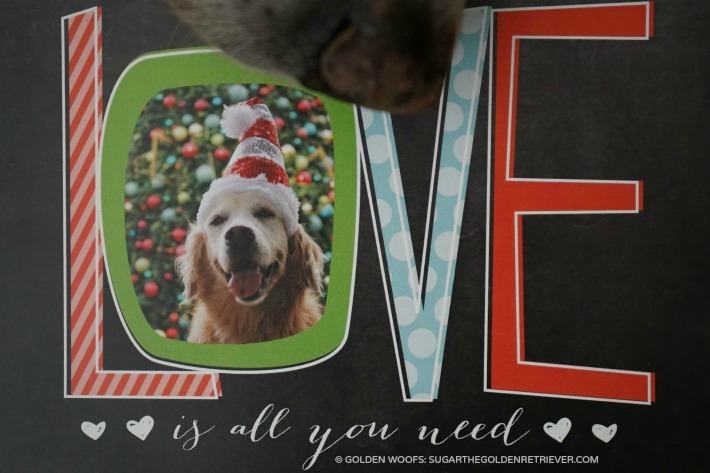 So it’s just appropriate to have a dog love-themed holiday greeting. 3. Neighborhood Holiday Decor – Coming from the Midwest, we are loving December SoCal weather. Being able to spend holiday fun outdoors is wonderful. SUGAR is having a great time visiting different places and seeing all the beautiful holiday decorations. 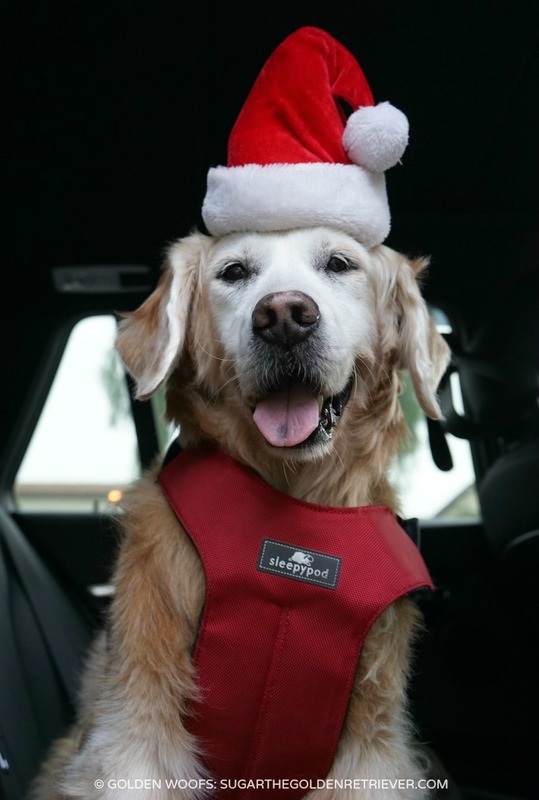 SUGAR loves car rides, and it’s fun we can take her along to meet Santa and seeing holiday fun decor. 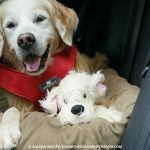 SUGAR’s safety and comfort in the car are our priorities. She’s always buckled up, and Sleepypod Clickit Sport is keeping her safe. 4. 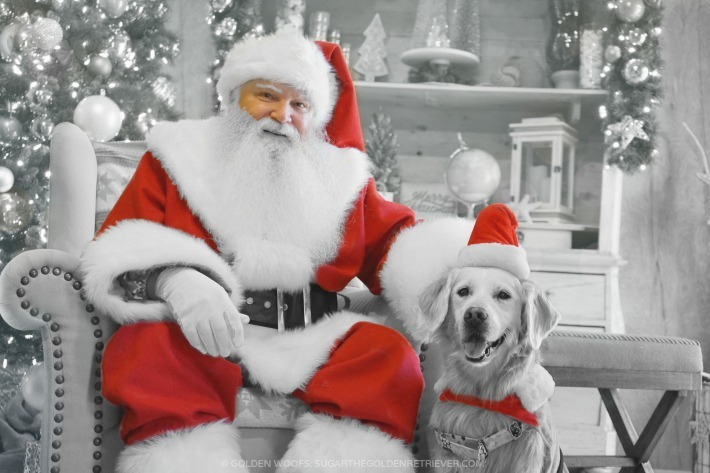 Take A Photo with Santa – You can take your dog to many places (besides pet stores) to get a photo taken with Santa. This year, SUGAR is having so much fun meeting different Santas. So far, SUGAR met seven Santas. If you follow us on social media, you’ve seen many photos and videos of SUGAR’s weekend Santa adventure. 5. Make Delish Homemade Treats – Christmas is a time for baking. 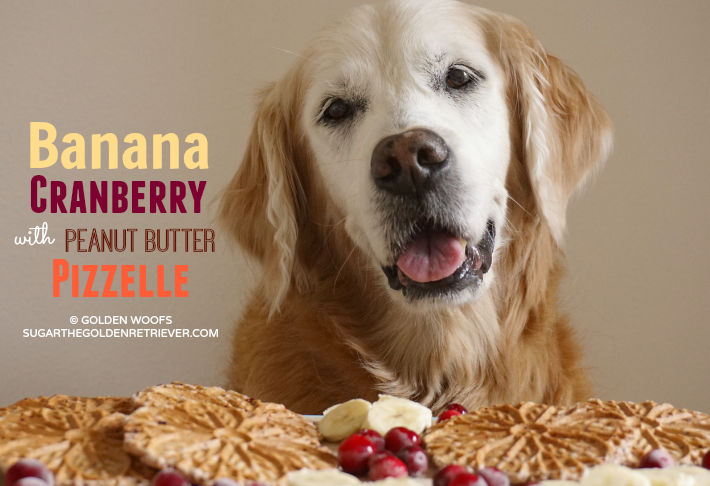 It is easy to modify a holiday recipe and create dog-friendly tasty treats you can share with your dog. 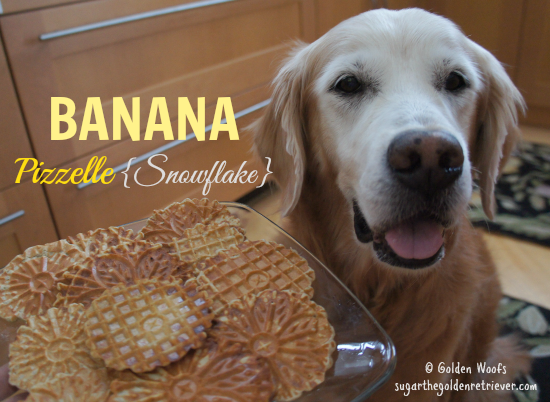 Our favorite holiday treats are Pizzelles. For the past years, I always make some Banana Pizelle. Last year, I made Banana Cranberry with Peanut Butter Pizzelle. 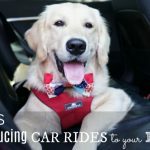 Create an awesome and memorable holiday fun memories with your dog that you can cherish forever. Love all these things to do! Sugar’s photo with Santa is so beautiful! Happy Holidays! Great ideas! Will be trying some of those recipes. Have linked you for a Top 5 Challenge at our blog. Oh gurl, you always look happy and fit and just enjoyin’ life!!!! I can say, if Ma tried to puts that hat on me, that would be the end of that! BOL!!! YOU howevers, it looks FABulous on! Then again, y ou look FABulous in everythings! Oh, and I gots one of those harness thingies too! Always buckle up! Oh Sugar! What a cutie… I would do anything to get a photo of my boy with Santa, I think next year it will be a must!